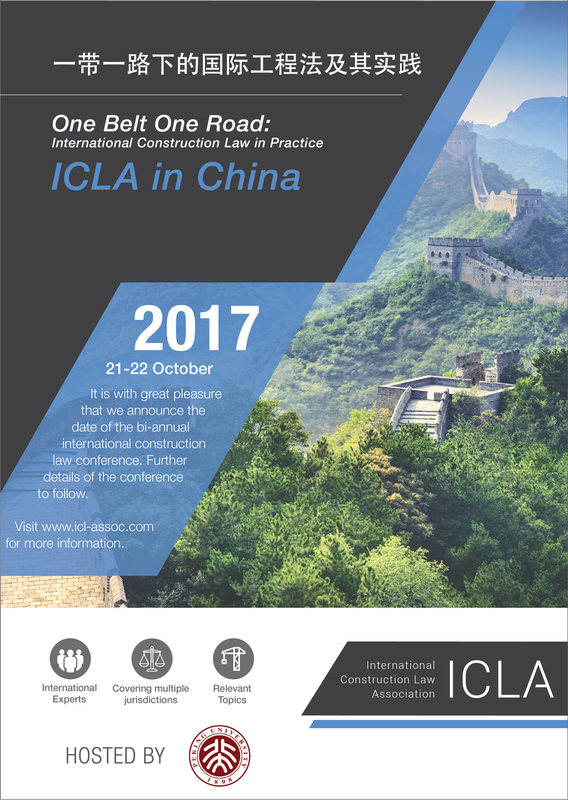 To build on our success, it is a pleasure to announce to you the date of the upcoming ICLA event “One Belt One Road” in 2017 in Beijing, China. The conference will be held on 21 – 22 October 2017. The initiative, “One Belt and One Road” is China’s great plan to build up a network of infrastructure including railways, roads, utility grids and pipelines following the ancient “Silk Road” and “Maritime Silk Road” - a challenge not only in Asia, but far beyond. Renowned experts, lawyers, professors and judges specialized in International Construction law will introduce to us the thinking and relevant topics in international construction law affecting One Belt One Road project. Worthwhile presentations, workshops and discussions will give you the chance to get in touch and to profit from the ICLA. Grab the chance and sign up for the ICLA event in October 2017.